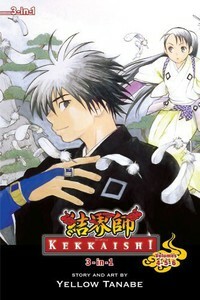 Contains volumes 4-6 of Kekkaishi! Silbling rivalry surpasses the bounds of life and death itself when Yoshimori discovers secrets of a ghostly patissier's past life. The frateranl theme continues when Yoshimori's older brother Masamori returns to Karasumori. Everyone seems to respect and admire Masamori--but Yoshimori feels alienated and left out in the cold. All this and more ayakashi to catch and cakes to bake--what's a young kekkaishi to do?